CLEARFIELD – The Clearfield Revitalization Corp. (CRC) is proud to announce the Clearfield Salutes Banner Program. 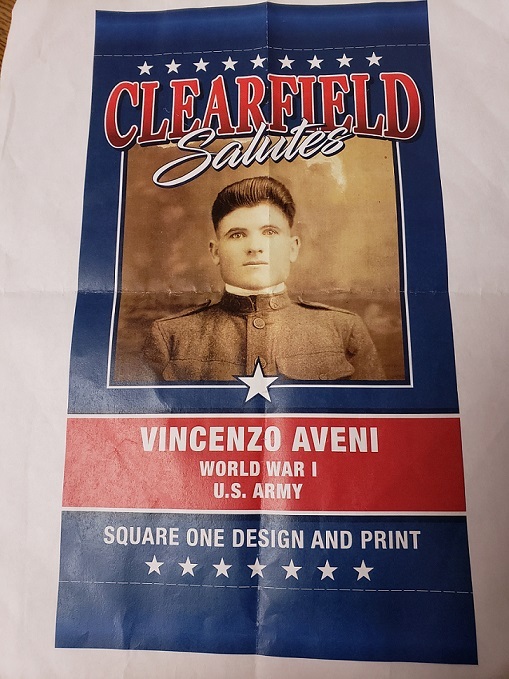 This program will serve as a tribute to servicemen and women from Clearfield who have served or are currently serving in the military. The CRC would also like to recognize those who serve in the local community as an emergency medical technician, paramedic, police officer or volunteer firefighter. “Each individual banner will be unique and include a picture, name, branch of service and sponsor’s name,” CRC Main Street Manager Loretta Wagner said. Applications are available in the CRC office, located at the Clearfield Borough Administration Building, at 6 S. Front St., Clearfield, PA 16830. You can also visit the Facebook page @Clearfield Revitalization Corp. for an application submission form or www.discoverclearfield.com for additional information. The application deadline is May 30. The banners will be displayed on the downtown light posts from the beginning of July through mid-November.